First, I thought about this for a long time before I wrote about it. And even now I still do not have a whole lot of answers on this. So I ask you to stop and think. I’ve been mulling over this post for awhile. The consternation, confusion and conflagration of angry comments which might result have made me wonder at the wisdom of it. I decided to go ahead. The subject is too important. And I can only imagine that while it may anger some, there are plenty of people like myself who will find some freedom here. A few weeks ago I heard someone say something to the effect of, “You cannot/shouldn’t consider yourself a Christian if you are not sharing your faith/practicing evangelism.” And it really got me to thinking. Something felt wrong about it. But I couldn’t put my finger on it. So I quickly went through Paul’s letters to the churches in my mind as much as I could. Could I think of a place where he commands the members of these churches to share the gospel – to tell unbelievers about the gospel? I was pretty shocked to not be able to think of any place where he does anything like this. Nothing was said, of course. But I filed it away in the front of my mental filing cabinet. My mental filing cabinet is grey, if you must know. Nixon administration grey. Over the next few days I looked into the Epistles. Really, I thought I would find something. I mean, all the importance we place on evangelism and the urgency we show in preaching and teaching and writing on it, should show up in Paul, right? RIGHT? I found nothing. Zilch. Nada. Zip. Paul never commands the ordinary believers who belong to the churches to evangelize. There is no call for sharing your faith. There is no call for witnessing. He never even encourages it. And he never rebukes them for not doing it. He tells them to stay away from orgies and to practice kindness and to live quiet lives but there are no commands to evangelize. Implications? Maybe. But never outright commands. 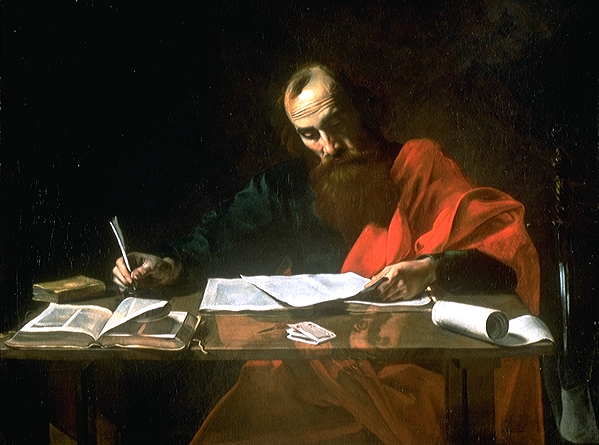 Paul describes his own desire to do so and he defends his apostolic ministry of doing so and he commands Timothy to do the work of an evangelist. He also tells us there are such things as “evangelists” in Ephesians 4. But he never talks as if the carpenter, the shepherd, the soldier, the fisherman or the wife of any of these is called to evangelize. I know, I know…there is the ‘great commission’ given by Jesus. In only 2 of the 4 Gospels. Never repeated again. By Paul. Or anyone else ever in the Scriptures. Why is it called ‘great’ again? I mean everything Jesus has said and commanded is technically speaking ‘great.’ But I mean, if it is so absolutely ‘great’, why is it never repeated by Paul or John or Peter or James or Jude. Before you get upset with me, the designation ‘great commission’ did not come from on high. Jesus did not call it ‘great’, someone else did. Stop. Right now there are 2 kinds of people reading this? The freaked out and the ticked off. Let me address the freaked out first…You doing OK? Stop. Take a breath. What? Of course you can quit EE. Hm? Yes, I was a little freaked out also. No, you do not have to tweet about this, you will lose a lot of followers. OK, all who are angry…What have I said to make you angry? I have not said, “You should not tell other people about what Jesus has done for us.” Have I? At least not yet…just kidding. You really need to calm down. All I have done is point out an indisputable fact. 1) The way we talk about evangelism is certainly out of proportion to the way Paul or anyone else in the NT talked about it. We act as if it is the litmus test of being a Christian. If it was – if personal evangelism as we know it – was a litmus test for being a believer in the gospel, ummm, wouldn’t Paul have admonished his people to do it? We talk about it as if it is the THE THING for Christians to do while on earth. “Sure, we are to glorify God and all that but the best way to do it is to tell every living breathing soul who just wants a quiet flight to the ATL.” Maybe it is not. 2) We have got to quit guilting and bullying people into doing cold evangelism. It feels weird and wrong and inconsiderate to almost everyone. There are a few who feel comfortable walking up to strangers and talking to them about Jesus but they are the exception. They are not more spiritual, they are just the exception. Maybe the reason why they are the exception and the reason why so many do not like walking up to strangers simply to talk to them about their sinfulness and need for salvation is because – wait for it – we have not been asked to do such a thing. Perhaps it is not part of the Spirit-led DNA. Regardless, beating up on people for their not evangelizing enough is totally out of sync with the NT. 4) We tend to think the greatest thing we can do with the gospel of grace we have in Jesus is tell people about it. Why is that? Paul seems to think the greatest thing we can do with the gospel is believe it. Believe it in the midst of tragedy. Believe in the midst of beautiful Spring days when all is right with the world. Believe it on your death bed. Believe it when your sin is huge. Believe it when your heart is hurting. Believe it. Hang onto it. Never let go of it. Believe no matter what, if you are in Christ, you are loved beyond all comprehension. You cannot sin yourself out of his love and grace and mercy. You are loved, you who believe the gospel. Persevere in your belief. You are saved unto life everlasting because of what Christ has done. This cannot be undone. Believe the gospel. Believe. 5) There is no folly in assuming the NT writers and those whose records are recorded there really wanted people to hear the gospel and believe it. This is a safe assumption. However, we need to think deeply on why they do not talk about evangelism the way we typically do in Western Christianity. Do we assume we care more than Paul about evangelism? Peter? John? We should probably think long and hard about all of this. I know I need to. Our being so out of step with the tone and content of the Scriptures might actually be to the detriment of others believing the gospel of grace in Jesus Christ. All of these are thoughts which have been around for some time in at least seed form. The study I have been doing over the past few weeks however has emboldened me to at least talk about my doubts. To say I am sure of myself here would be untrue. I am not thinking and writing entirely in confidence. The one thing I am sure of is the need to think deep and hard about all that is in and not in the Scriptures. And I am pretty sure there is the need for freedom to ask hard questions and be taken seriously in asking them. One last thing. I was not enjoying thinking about this by myself. So I sent a note to some pastor friends and asked what they thought. One friend (who will remain nameless) told me about an article called Wretched Urgency by Michael Spencer. It was the first thing I had ever read of the sort. And it was the first thing confirming I was decidedly not crazy…or if I was, I was crazy along with Spencer. And I’m fine with that. Previous Article The God of the Mundane: Part 4, Is Any Christian Life Easy? "I know, I know…there is the 'great commission' given by Jesus. In only 2 of the 4 Gospels. Never repeated again. By Paul. Or anyone else ever in the Scriptures. "This excessive use of periods for dramatic emphasis doesn't help your case any or make the Great Commission any less great. Let's make a normal sentence:"There is the Great Commission given by Jesus in the Gospels, though Paul doesn't reiterate it."Yep. Sounds much less trivial (and is) now. Nathan. Normally such comments -those not dealing with the subject at hand- would be deleted. Rather quickly. But not yours. But I've thought about it. And if you would be so glad as to send me your email address, I'll be glad to send you my writings for this blog and all articles to be published. I can even include you in the present editorial process of my book. I'm sure my publisher would appreciate your eagerness to correct my errors. Until then, you might want to peruse other blogs. As I would be embarrassed. By the writing. Throughout my own.Perhaps when you are done my wife and I could have you over. You could then tell us how better to decorate our home.Sincerely.Matt. I see that the Lewis Johnson link I gave was wrong. Here is the right one. Beautifully written. Well thought out. Completely true. The first time I heard this take on “evangelism” was 3 months ago (Nov. 2013) when I asked my Lutheran Church Missouri Synod pastor about “The Great Commission”. He said Jesus was talking to His disciples! Not directly to the New Testament Church! Nor to those who would read his words 2000 years later. I was shocked. Never heard such a thing in the Baptist, Presbyterian, Evangelical Free churches we have been to. The emphasis is ALWAYS on evangelism. So refreshing to read this article on your blog. It’s a keeper. Thank you for digging into Scripture and challenging the status quo of our modern day churches. I have struggled with this also. It is a relief. When I feel the pressure to prove my value in the Christian life either put there by myself or others I go back to the beginning of my walk with God…I am saved by grace alone! I do not believe our salvation is being tested and retested daily, but we are saved once and for all through Jesus. We do want to bare fruit of course, but it all starts with Him and needs to be led by Him. I’ve tried the “evangelize everyone I meet” approach and it felt forced and confusing as the reception was obviously not so great. If there is one thing I am seeking now it’s just to know Him and hear the voice of the Holy Spirit that leads us to show the love of Christ to others in ways we cannot comprehend on our own. It’s good to read these types of articles that challenge our fears and the burdens we try to heap on ourselves and each other. 1 Peter 3:15: Always be prepared to give an answer to everyone who asks you to give the reason for the hope that you have. I disagree. I do not think that “answer” is a call to evangelism. Related? Sure. Some overlap? Yes. But it sure as heck is not the picture of the call to evangelism that is drawn in American evangelical churches. Giving an answer is passive. What we typically call evangelism is not passive in any shape, form, or fashion. The warp and woof is purely active. I will give you this – if you think the call to evangelism is living a life and making decisions that would cause people to ask us why we have hope and then we answer with what that hope is, then yes, by all means evangelism. However, that is not what hardly anyone means. So, somehow, I never got the notifications that you responded. Just saw these today when referring back to the article. This is EXACTLY what I meant. I was agreeing with you, but merely stating that option #3 seemed the most likely/prevalent to me (if we lived in a loving way, people would ask; but we don’t). I wasn’t saying that answer=evangelism. I was saying that living in a way that elicits the questions (and then being ready to answer them) is evangelism. Hi, and thanks for writing this. I have been wondering the same thing myself. Of course, I will be told that Jesus’ command does not need to be repeated; nevertheless, it’s still absolutely vital for us to see how the apostles wrote about it as they discipled new believers (and us). I find 1 Peter 2:9-12 very helpful in this regard, that is, what ARE we to do?